Yet, the Master knows each of us by name. The light which lighteth the world giveth light to our minds and comfort to our hearts. There is light in Heaven. Angels surround us. In the sky above and the earth beneath, the day of miracles has not ceased. 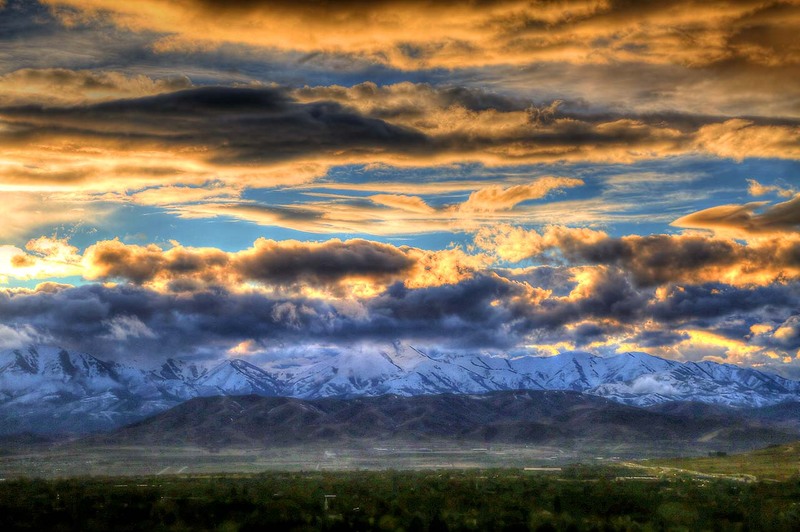 Sunset over Lake Mountains and Utah Valley, North Utah County.